I want to wish everyone a safe and Happy Halloween. Remember to be mindful of others, including your pets, when going out trick-or-treating or when handing out candy at home. Below is a list of safety tips courtesy of the ASPCA website for your four-legged family members. No tricks, no treats: That bowl of candy is for trick-or-treaters, not for Scruffy and Fluffy. Chocolate in all forms—especially dark or baking chocolate—can be very dangerous for dogs and cats. Candies containing the artificial sweetener xylitol can also cause problems. If you do suspect your pet has ingested something toxic, please call your veterinarian or the ASPCA Animal Poison Control Center at (888) 426-4435. Popular Halloween plants such as pumpkins and decorative corn are considered to be relatively nontoxic, but they can produce stomach upset in pets who nibble on them. Wires and cords from electric lights and other decorations should be kept out of reach of your pets. If chewed, your pet might suffer cuts or burns, or receive a possibly life-threatening electrical shock. A carved pumpkin certainly is festive, but do exercise caution if you choose to add a candle. Pets can easily knock a lit pumpkin over and cause a fire. Curious kittens especially run the risk of getting burned or singed by candle flames. Dress-up can be a big mess-up for some pets. 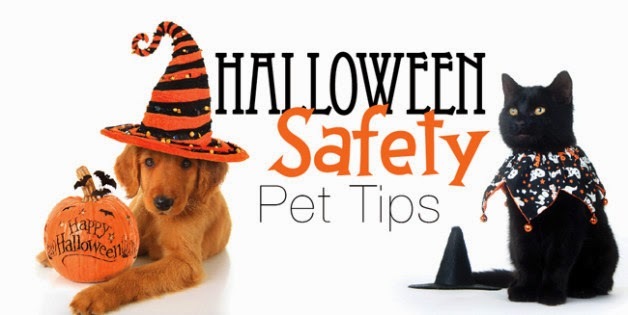 Please don't put your dog or cat in a costume UNLESS you know he or she loves it (yup, a few pets are real hams!). For pets who prefer their “birthday suits,” however, wearing a costume may cause undue stress. If you do dress up your pet, make sure the costume isn't annoying or unsafe. It should not constrict the animal's movement or hearing, or impede his ability to breathe, bark or meow. Also, be sure to try on costumes before the big night. If your pet seems distressed, allergic or shows abnormal behavior, consider letting him go au naturale or donning a festive bandana. Take a closer look at your pet’s costume and make sure it does not have small, dangling or easily chewed-off pieces that he could choke on. Also, ill-fitting outfits can get twisted on external objects or your pet, leading to injury. 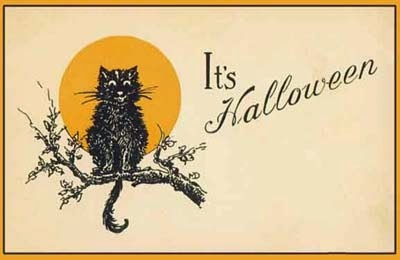 All but the most social dogs and cats should be kept in a separate room away from the front door during peak trick-or-treating hours. Too many strangers can be scary and stressful for pets. When opening the door for trick-or-treaters, take care that your cat or dog doesn't dart outside. IDs, please! Always make sure your dog or cat has proper identification. If for any reason your pet escapes and becomes lost, a collar and tags and/or a microchip can be a lifesaver, increasing the chances that he or she will be returned to you. 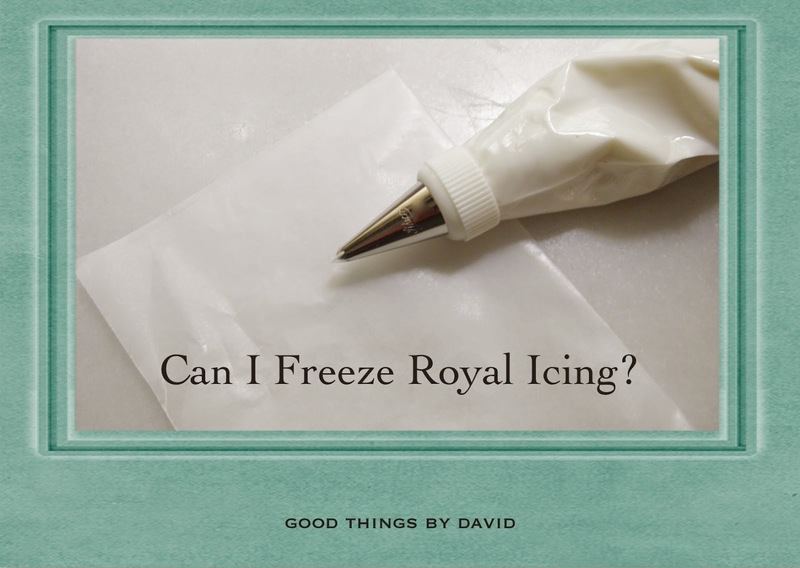 Can I Freeze Royal Icing? This is a question I get asked quite a bit here on the blog and, much to my embarrassment, it is one that I had no answer for until I tested it myself. It's baking season now and many people want to get into the kitchen to ice those marvelous cookies for friends and family. I'm right there with you. Those of us who ice cookies on a regular basis inevitably end up with leftover royal icing and I'll admit that in the past I used to dump what was left (big guilt trip, believe me!). Well, I no longer do that because I freeze what I do have left after one of my baking projects. It's simple, it's easy and it works! Unless one is icing hundreds of cookies, you may end up with leftover royal icing after making a couple of dozen cookies. 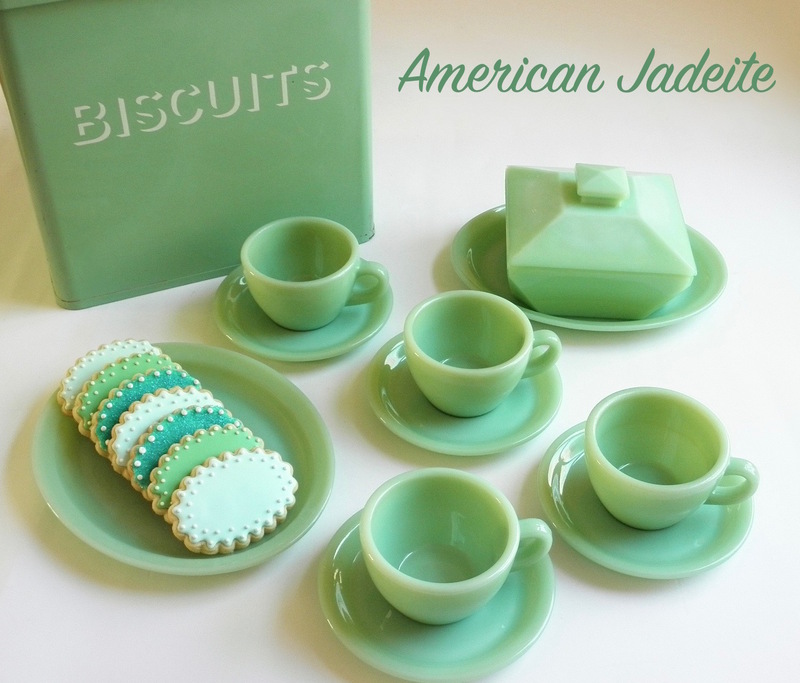 Most royal icing recipes (including my own) make a substantial amount to begin with. I think it's good to have more icing than is needed, because there are always moments when you want to add a little flourish here or there, and then there are moments when you absolutely do run out of a color and need to make more. You can see that I truly do love to use a whole range of colors when I decorate these types of cookies. Having more options makes the job of icing sugar cookies enjoyable and absolutely easier. Again, unless I have a specific request from someone, I usually mix colors based on what I want to convey. I almost see it as artwork that allows one to express a certain kind of creativity. Keep in mind that I tested freezing royal icing with my recipe and no one else's. This is what you do. Any leftover royal icing should be placed into zip-top freezer bags, giving each color its own bag. Push the icing to the very bottom of the bag and squeeze as much air out of the bag as possible before sealing it shut. You want the royal icing baggies to be well sealed. Repeat with remaining icing. Place these sealed bags into a larger zip-top freezer bag and seal shut, removing as much air as possible to prevent freezer burn. Freeze flat on a rimmed baking sheet until you're ready to use the icing. You can make your icing a couple of weeks ahead of time and freeze it before your baking project. With all of the baking I've been doing in the past month, believe me, it has saved a lot of time doing this task early. Note: royal icing can successfully be frozen for up to one month. Thawing is the easiest thing of all. 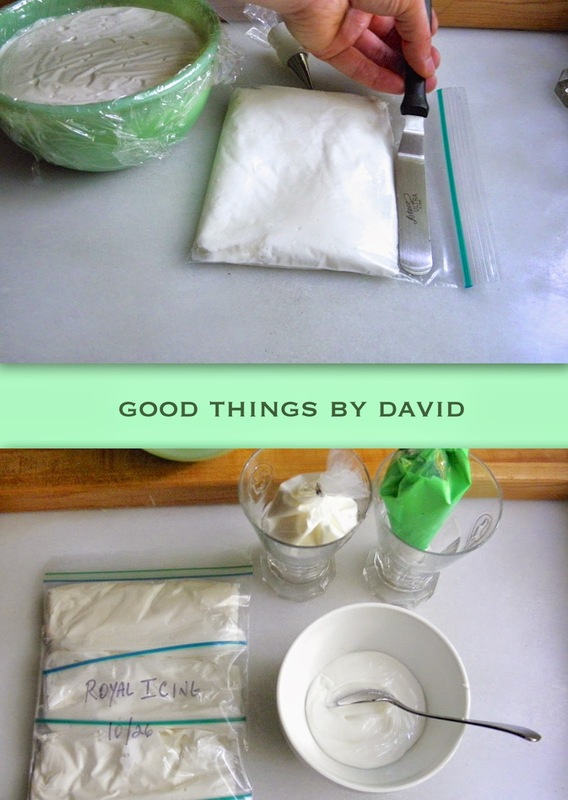 Remove as many icing baggies from the freezer as you will need and let them thaw on the kitchen counter. As soon as they're malleable, they are ready to be removed from the bags. Note: colors may separate and the icing may need to be adjusted to have the right consistency for piping and flooding. I urge you to drop the icing into a bowl to mix thoroughly with a spoon rather than putting it into your piping bag. Find out if it needs to be thinned out with a bit of water or if it needs anything else for your baking project. If the colors do seem uneven, use that spoon and bring the color back together. This is imperative! Use as desired by filling your piping bag or squeeze bottle and decorate those cookies. If you have followed my delicious recipe, there will be no compromise in flavor or texture. Now you know! Royal icing can be frozen with great success. Look no further if you want to bake simple cookies for Halloween that will appeal to everyone. Cookie baking & decorating doesn't get any easier than this. At the baking demo I had at Williams-Sonoma just a few weeks ago, I decided to try a new approach to my cookie decorating for this spooky holiday. It didn’t fail to catch the attention of the customers & sales associates that particular day as I was rolling out dough and cutting out cookies in Halloween shapes. I noticed that many individuals left with the feeling of having learned something new that was easily approachable & doable. Yes, I still use some royal icing for these rolled out sugar cookies, but I make a minimum of commotion with it in order to spend less time in the kitchen. 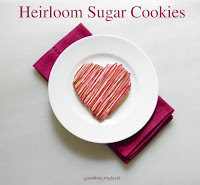 The best thing to do is to make a superb sugar cookie dough that is easy to make, handle & bake. Nothing is more frustrating than cutting out cookies and baking them, only to find out that they’ve lost their shapes. I’ve been there, done that! If you follow my recipe the results will absolutely please you. Also, my Perfect Royal Icing will have you licking the spoon when it’s all said and done. It is indeed tasty. Don't forget that infinitely edible Sugar and Spice Cookie Recipe that is to die for! Are you ready for Halloween? Have you picked out the costumes for the kids, pets & yourself? 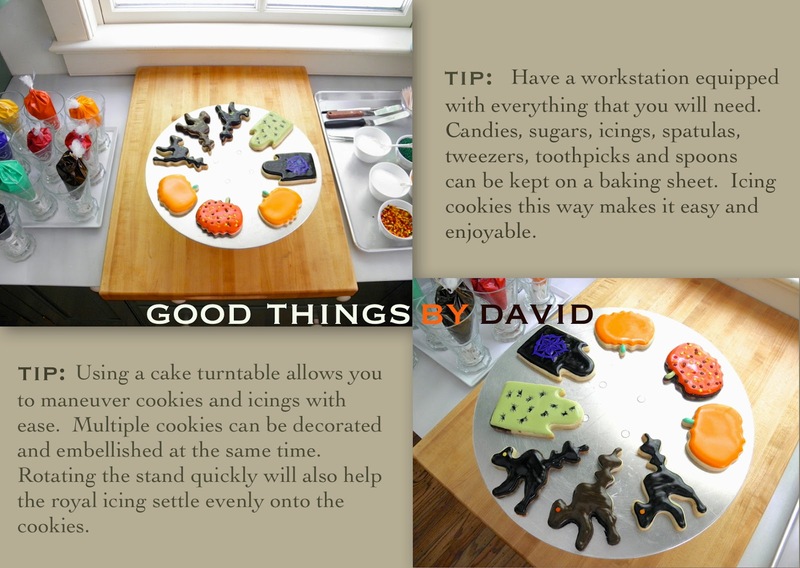 If so, take a moment to make these Simple Halloween Cookies because not only are they fun & easy to make, but they're also very toothsome. What are we waiting for? Let’s bake! I had never tinted my sugar cookie doughs before until I took on this baking project. What I wanted to do with this set of cookies was to use the colored cookies as a canvas for simple designs. I didn't want to have to flood a ton of cookies, so this was an easy peasy way to get the job done. With many food colorings on the market, I tested my recipes with Wilton gel pastes and Spectrum gel colors. They worked marvelously and the colors really kept up during the baking process. Simply divide a batch or two of sugar cookie dough and tint to your heart's content. Hint: I quartered my recipe and placed each chunk of dough into a mixing bowl for tinting. With a pair of food-safe latex gloves, I added the food coloring bit by bit and kneaded the colors individually. If the cookie dough is good, this process will be a cinch to perform. 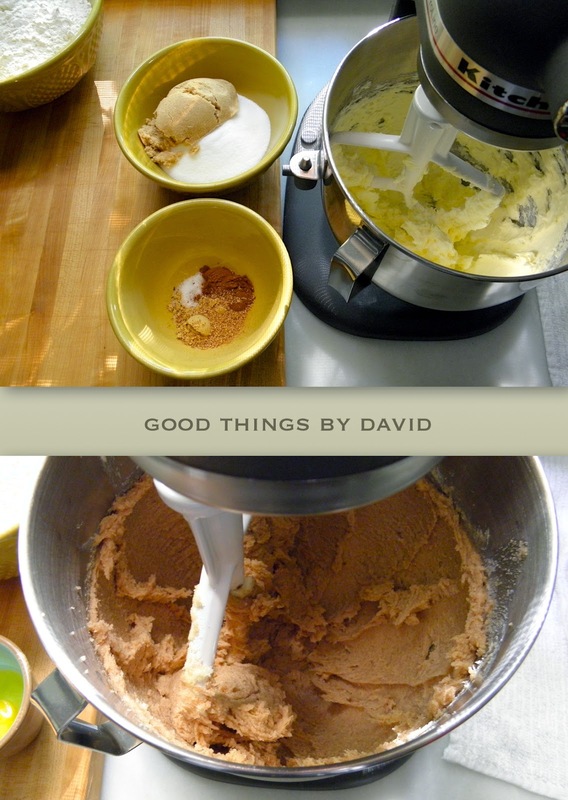 Luckily, my recipe (link above) is great to work with straight from the stand mixer. After mixing the colored doughs, I rolled them out between pieces of parchment paper. These slabs were then chilled for 30 minutes before cutting into fun Halloween shapes. Leftover pieces of dough were gathered and marbled for an eerie effect. Just look at that marbled pumpkin! Oh, before I forget, I had a reader send me a question regarding royal icing and storing it, etc. Well, I tested and retested a few times and came to the conclusion that you can in fact freeze royal icing! Upon thawing, the texture & flavor are not affected whatsoever and if it's the right consistency, it will pipe as if you had made it that very day. 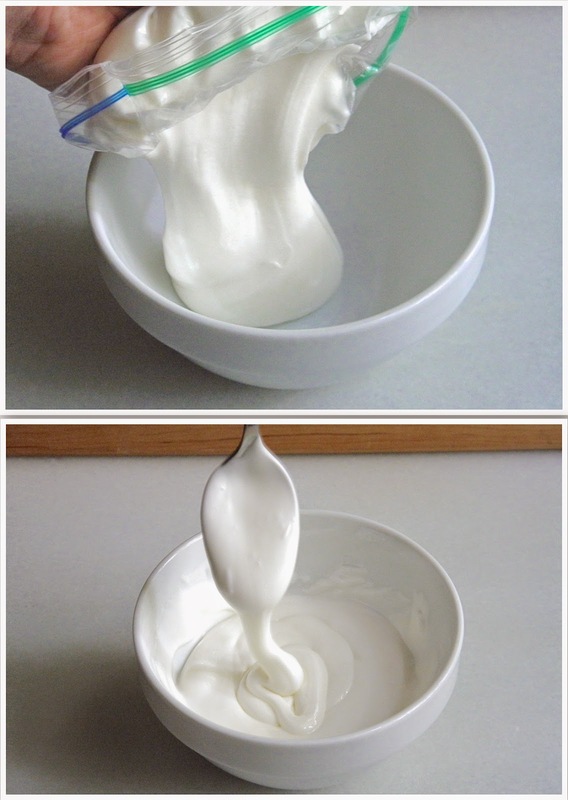 Keep in mind that this was tested using my recipe (I use meringue powder versus egg whites) and no one else's. We'll delve into that in another post. The point of these cookies was to keep them simple. Therefore, I worked with white & black royal icing. Nothing else. I made a stiff consistency and an outlining/flooding consistency for each color (four piping bags total). For these pumpkins I piped outlines, gourd sections and Jack-0-lantern faces. The large bats and itty bitty cat & bat were treated in the same manner. These cookies were made using a plain piping tip (#2) and a small open star tip (#13). The star tip created small stars and textured pumpkin sections with stiff royal icing. How simple is this? 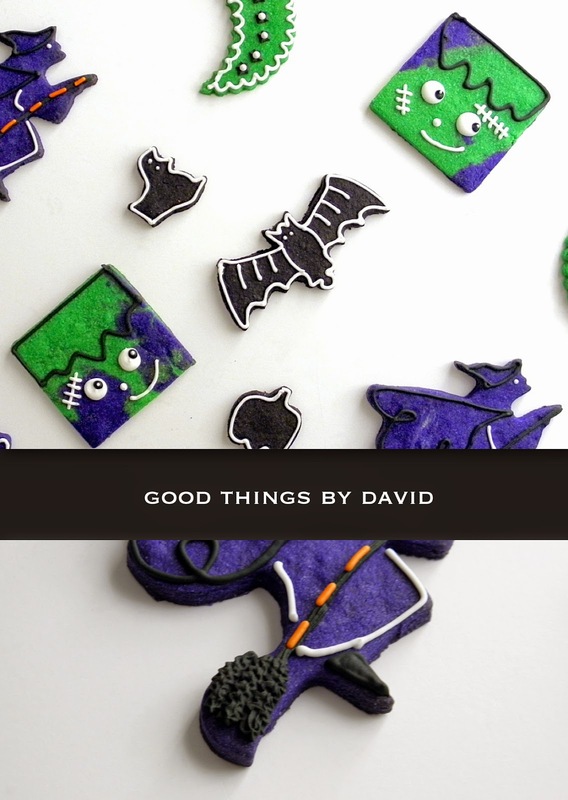 Using solid green & purple cookie dough, in addition to marbled versions of these colors, a small menagerie of witches, bats, moons, spooky eyes and monsters were given undemanding treatments of royal icing. Rather than give you specific directions, pipe whatever you please onto each cookie. It's your art work, so you decide what you want to see on these cookies. Who can resist those cute monster faces? For the marbled faces, I piped an outline of hair for his block face and then added charming eyes with white & black royal icing. An off-centered smile and a few scars were the only other accents. Easy! What I loved about the witches the most was the tattered up broomcorn. This was made with the open star tip; simply zig-zag stiff royal icing to create texture. There you have it. Easy as can be Halloween Cookies that are indeed simple to make. I'm telling you, beginners can have equal success making cookies that look like they belong in a bake shop. 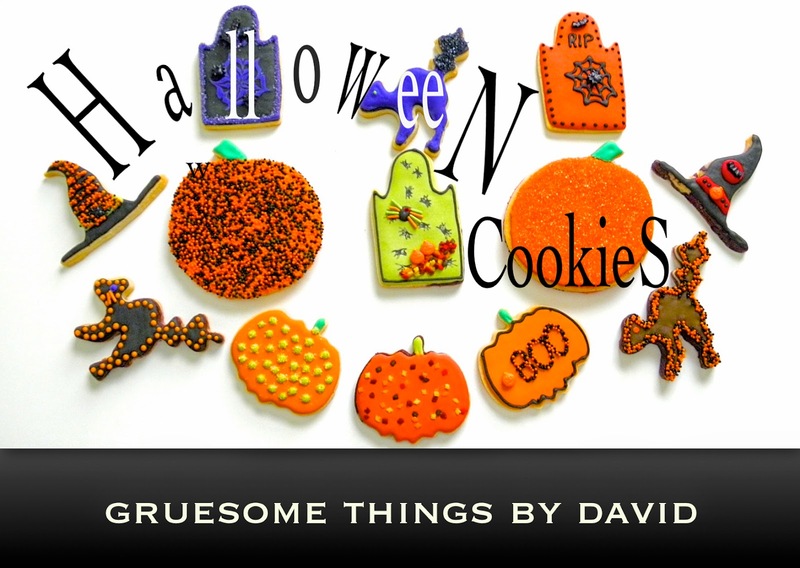 Go through my recipes where I provided the links and gather your ingredients to make my Simple Halloween Cookies. 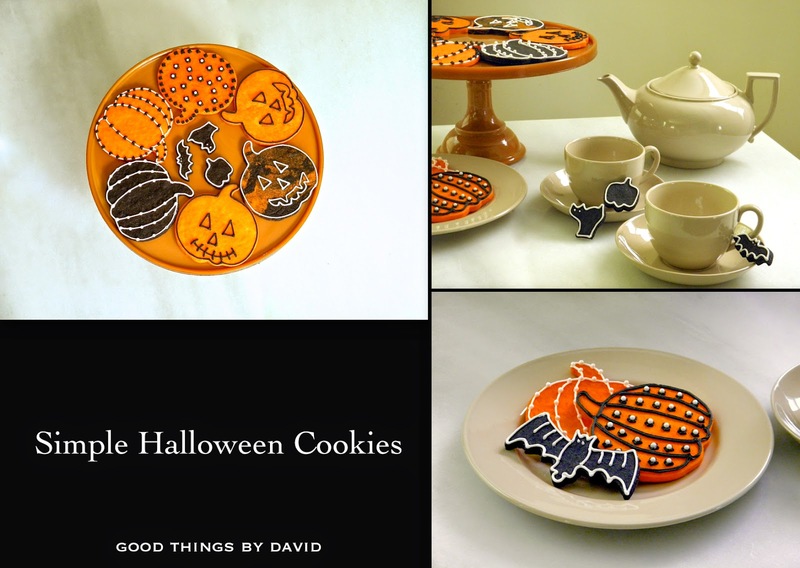 I guarantee you will have a ghoulishly creative time making Halloween cookies this coming week. It’s that time of year again when the leaves of our trees begin to change color. No matter how often I see the same trees, along the same driveway near the house, I still manage to gasp when I behold all of the splendor of our deciduous trees at the right moment. To me it almost seems like magic when we make our way up the curving, sloped driveway onto the road, because it is along this stretch that I first begin to take in what nature does during the Fall. With our weather being rather balmy from week to week, peppered with thick clouds and the occasional rainstorm, it’s been difficult to capture good photographs of the property. Thankfully, I did go out for a walk on a day in which the sun was poking through the clouds. Although I was under the weather during this excursion, I feel as if it did me a world of good to be out and about. I’m not sure if you have particular favorites when it comes to trees, but whether they’re sycamores, walnuts, beeches, maples, dogwoods, lindens, oaks or paulownias (yes, we’re surrounded by all of these), they all have something to contribute to one’s surroundings. It’s great to be outdoors exploring and observing nature’s magnificent beauty right now. Take a moment from your busy schedule and go outside. 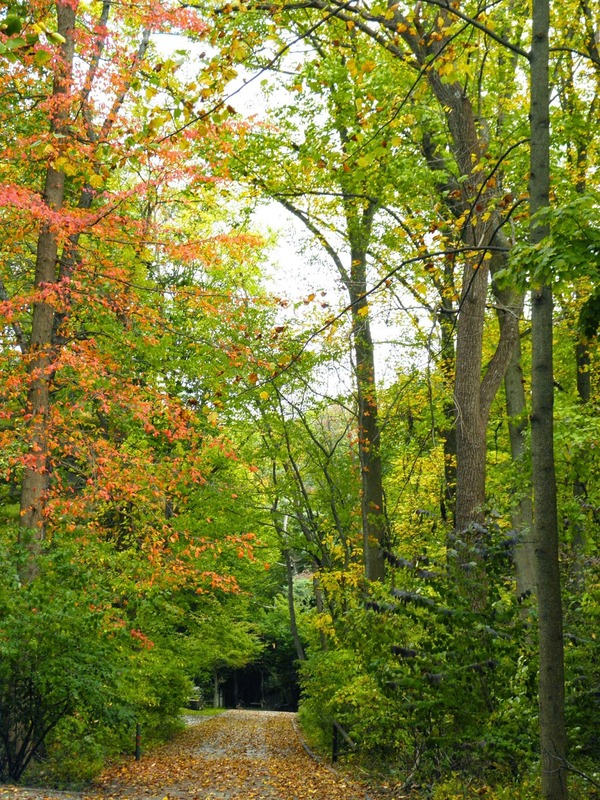 Stroll through the neighborhood, a city park or a nature trail and find out what changes you catch sight of. Autumn is a good time to be outdoors! You can see that the sky is still overcast, yet it's warm and a bit muggy. The driveway gets covered on a daily basis with leaves falling off the trees and it's a struggle keeping it tidy and clear. As I make my way up the driveway and onto the road, you can see that the trees bordering this property and the one across the street are clearly past the verdant stage. Crimsons, yellows, browns & chartreuse shades always take my breath away when I'm this far up the driveway. Every single year, I long for these mornings. It's something that I never tire of. If I turn to my right, the sloping lawn that's dotted with oaks, next to the bank barn, is wondrously carpeted with leaves in various shades of brown. This area is covered in acorns! Along the fencing here by the driveway you can see how thick with trees the landscape is. Here is another good view of the same area with the barn to one's left. A leaf-covered driveway, yes, but one that is always a pleasure to walk on or drive up this time of year. Winter is another story. The entrance to the field is a nice place to pause and observe. This is where I take in what's going on all around me and see what has changed. The meadow is absolutely spectacular right now. A quick turn to look behind me shows you how the hill simply swallows the stone barn. It's time to head back to the house and make some tea. The cats are probably wondering where I am and how long I'll be out. I'm sure they're anxiously awaiting their afternoon treats. I do hope everyone is having a great autumn wherever you happen to reside. If you're on the east coast and are experiencing nature's beauty right now, then feel privileged that you are where you are. To my family & many of my friends on the west coast, this little bit of Pennsylvania where I live is for you. Spooky, scary and hair-raising Halloween Cookies make good treats to hand out at parties this time of year. With so many great cookie cutters to chose from shaped like tombstones, skulls, scaredy cats, witches, witch's hats, pumpkins, Frankensteins and more, all one needs is a bit of spine-tingling creativity to bewitch guests this Halloween. Let the partygoers wonder how on earth your ghostly creations came about as they nibble on a plump pumpkin cookie covered in orange & black nonpareils or when they take a bite out of a spider-infested tombstone. Make a few of these if your Halloween party is small, but ice dozens of them if your gathering is meant for a crowd. 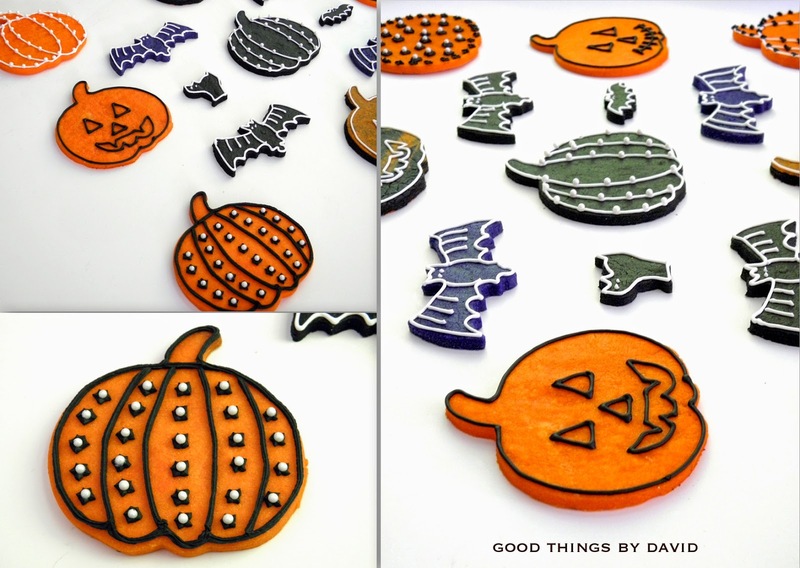 Nothing could be easier than flooding delicious sugar cookies in your favorite October colors and then embellishing each treat with an array of candies. Halloween Cookies are meant to be as eye catching as any great costume. You can get very creative with these. After you bake the required number of sugar cookies, tint batches of royal icing in several shades of orange, green, purple and black. Choose which candies you wish to add to your cookies and get the kids involved. If you give yourself a bit of time, these can then be packed up into cellophane bags or treat boxes for gift giving. They can also be stacked or arranged around a haunted gingerbread house or a stack of cake stands for a ghoulish presentation. It’s entirely up to you! As you can see, I’ve used some of my favorite copper cookie cutters from the former Martha by Mail catalog to create these ghastly cookies. Those 'scaredy cats' look like they’ve been spooked by something from another world and the 'batty tombstone' cookies seem as if they’ve been around for centuries. The warty, spooky and BOO-carved pumpkins are ready to be eaten. This festive bunch is simple to make. The Witch’s Hat (top left) is piped & flooded with black royal icing and is left to dry. Beads of icing are piped as stripes along the top and are then covered with orange & black nonpareils. A sugar spider is affixed with icing. The Neon Cat (top right) is iced in vibrant purple. The tail is then flocked in black sanding sugar. Once dry, a small dot is added for an eye. The Spidery Tombstone (bottom left) is flooded in black royal icing. With purple icing, while the black icing is wet, create a web & drag down the colors with a toothpick for the design. Let dry. Pipe a bead of purple royal icing for a border and flock with sanding sugar. Affix sugar spiders with icing. The BOO Pumpkin (bottom right) is flooded with bright orange icing. A green stem is piped and both are left to dry. Pipe a bead of black royal icing around the pumpkin and then pipe BOO; flock the ‘carved boo’ with nonpareils. Affix a sugar pumpkin with royal icing. The Giant Pumpkin (center) was flooded with orange royal icing and was flocked with orange & black nonpareils while wet. A green stem was piped with icing. Darker than you think cookies. Kitty Cat (top left) is flooded with brown royal icing and is given an orange eye; this is left to dry. A bead of black royal icing is used to trace the outline and is then flocked with nonpareils. Black Witch’s Hat (top right) is flooded with black royal icing and is left to dry. A red sash is piped above the brim and is embellished with dots & a sugar pumpkin. A red ‘Blood Moon’ is piped on the cone of the hat and a bat candy is attached. Spooky! Menacing Tombstone (bottom right) is flooded with a chartreuse royal icing and is given dots while the base is wet. Using a toothpick, draw out ‘legs’ for spiders. Ghoulish! Let this dry. Pipe a bead of black royal icing for a border and then add a plump Black Widow with royal icing. Attach sprinkles for legs and give the spider two red eyes. As a final embellishment, pipe any color icing along the base, haphazardly, and flock it with autumn leaf candies. Attach sugar pumpkins to the wet icing. This tombstone is gruesome! Warty Pumpkin (bottom left) is so easy to make. Flood the pumpkin with orange icing and add a green stem. Let this dry. Pipe green dots for ‘warts’ and then flock them with sanding sugar. Fuzzy Pumpkin (center) is also easy to create. Flood the base of the pumpkin with orange icing and immediately flock with orange sanding sugar. Attach a green stem with icing. I absolutely love this Menacing Tombstone cookie. The windswept leaves along the base, with a stack of pumpkins, make this final resting place seem neglected and eerie. The fact that it’s teeming with spiders adds to the macabre atmosphere. The Great Pumpkin was iced with the most iconic of designs. A jagged-tooth Jack-O-Lantern with his adorable face is going to be loved by anyone who is lucky enough to get it. Sugar and spice cookies are just the thing for Fall. If you crave an iced cookie with a bit of spice, but don't feel like gingerbread before December, then this recipe is the way to go. Think of it as a perked up version of my delicious sugar cookie recipe that so many of you already like. Dough that comes together quickly, rolls out nicely and bakes into beautifully-shaped cookies, are just some of the virtues of this cookie recipe. Last, but not least, are the texture and flavor of the baked treat; not too sweet and never unbearably hard & crisp. For the months of September, October & November, we all want to fill our home with the aromas of spices such as cinnamon, ginger, cardamom and nutmeg, among others. In the right proportions when mixed into a stellar dough, the baked cookie can stand on its own, get sprinkled with cinnamon sugar or it can be brightened with a good royal icing. Take out those cookie cutters you've been meaning to use all year long and get your ingredients together. The wholesome basics of flour, eggs, butter, sugar and spices are all in there. Putting them together couldn't be easier. All you really need to do is make sure that the butter & egg are at room temperature and you're on your way to making delectable treats. Rolling out the dough between parchment paper straight from the mixer makes quick work of getting the cookies into the oven. I've even provided you with a printable recipe! Set some time aside this weekend and create spiced cookie dough for your next baking project. 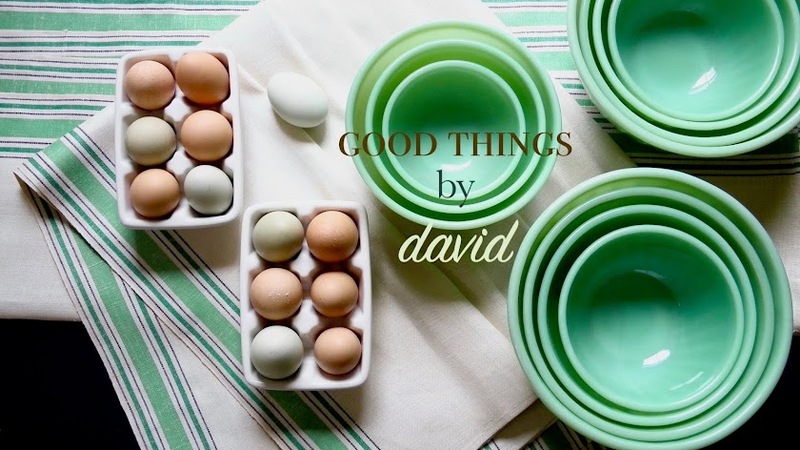 You're going to love the simple goodness! A word on spices: You will see the breakdown of spices that I used for my recipe. Always make sure that your spices are fresh & still fragrant. You can substitute approximately 2-1/2 teaspoons of pumpkin spice for the list of spices if you wish. If I'm making a spiced cookie dough, I find that adding the spices as I cream the butter & sugar disperses them much better. 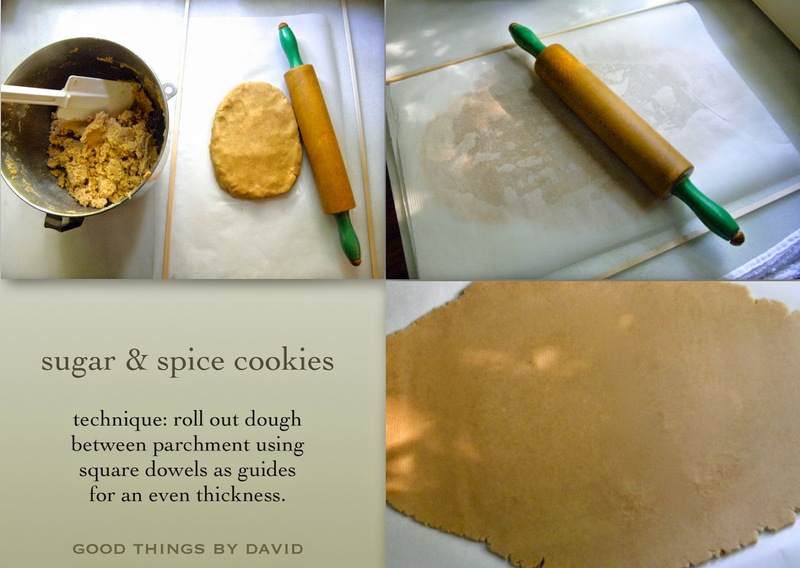 If you've never tried making your spice cookie doughs this way, I really do encourage you to try it. This photo speaks for itself. I do, on occasion, divide my doughs from the mixer and form 2 rounds for chilling, but lately I'm finding that dividing the dough in half and rolling these portions between pieces of parchment paper, saves time & energy. I have cookbook author, Nancy Baggett, to thank for teaching me this trick. Nothing could be easier! As I said, this cookie dough is perfect for the Fall season, but it's also good anytime one craves sugar & spice. 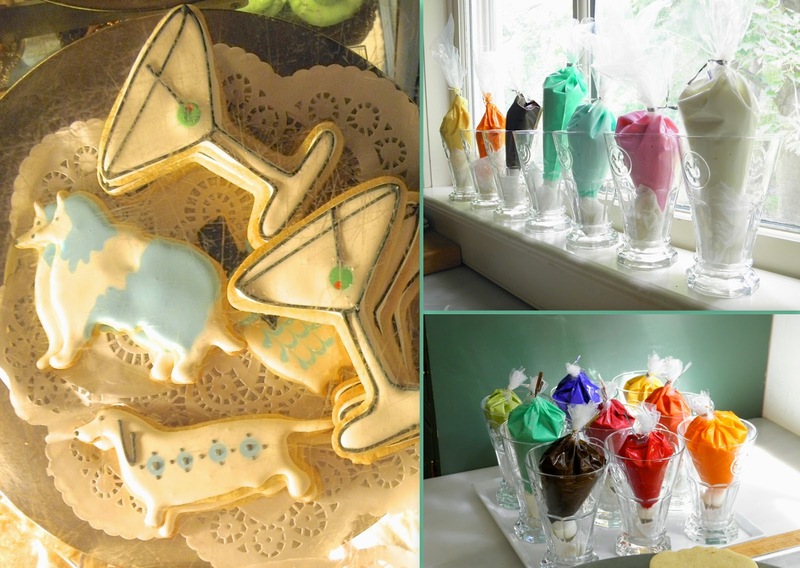 Cut out a multitude of shapes using your favorite cookie cutters and then ice the sweets with royal icing. However, you can always cut out simple rounds and sandwich two cookies with your favorite jam. This is a good alternative to linzer cookies if you happen to have a nut allergy. Either way, you're going to love the flavor of these cookies. I hope this recipe becomes a favorite with you. Share the goodness by baking up cookies with a little sugar & spice, and have fun while making them! 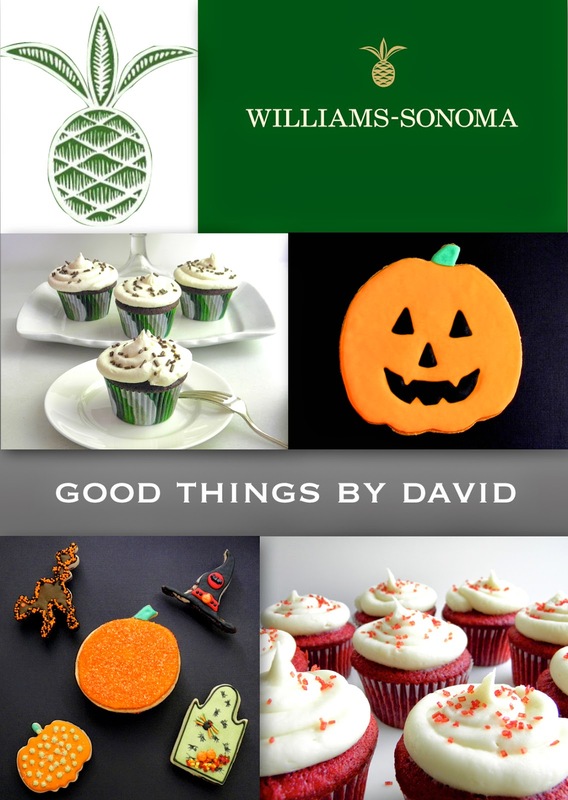 My October baking & decorating demo at Williams-Sonoma will cover Halloween cookies & cupcakes using recipes that I've developed here on Good Things by David. The two hour demonstration will introduce you to simple, tasty treats that are appropriate for this time of year. Cookies in the shapes of pumpkins, tombstones, bats & cats, plus red velvet cupcakes in the shapes of menacing skulls will undoubtedly get devoured by all. The event takes place on Sunday, October 12th, beginning at 1pm. Stop by to say hello and learn how to create irresistibly spooky cookies & cupcakes. It's going to be fun! My favorite time of year gives us the most colorful leaves imaginable. With a large number of deciduous trees surrounding our home, I'm fortunate to witness their beautiful transformation every single year. It was only natural for me to try and capture those colors & shapes in the form of cookies for some of my family members on the west coast. Using my trusted sugar & chocolate cookie recipes, I then set out to mix some seasonal colors into a double batch of my perfect royal icing recipe. 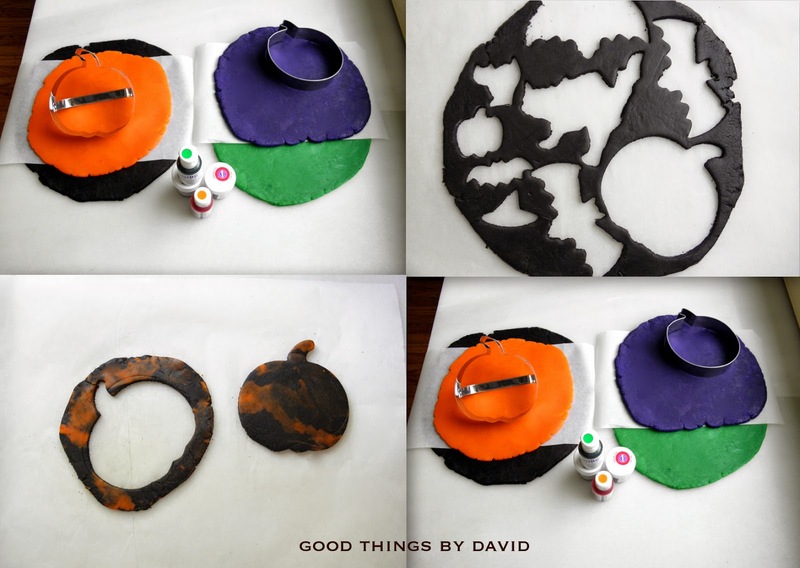 Now that the Fall season is here, try making a batch of fall leaves for your loved ones. All you need is a set of leaf cookie cutters and my tried & true recipes (links provided above). Unless I have a special commission from a client or a friend, I usually go with what I feel like creating at the time. Over the years of making countless cookies, I have usually stuck with a 'less is more' approach to icing my creations. These types of cookies are equally beautiful and eye catching as the more elaborately designed & iced cookies of professionals. Print out my Baking Essentials Checklist and make sure you have everything in the kitchen. Allow yourself one afternoon of making cookie doughs, rolling the slabs out and cutting out the shapes. Let them chill and then bake. If you want to ice the cookies that same day go right ahead, but you can also ice them at a later date. Mixing the colors into batches of royal icing is always fun. I trust my colors to Wilton or Ateco gel paste food colors, because they are consistent, vivid & always reliable. I made a total of 10 colors this particular day because I was making other holiday cookies. You'll see those soon! Sitting on this duo of vintage, highly-collectible wirework trays, is a set of baked cookies ready to be iced. I love these trays to no end. If you look closely, you'll see that the cookies have been marbled. After my baking demonstration at Williams-Sonoma this past month, I had leftover cookie dough which I used to make these tasty treats. 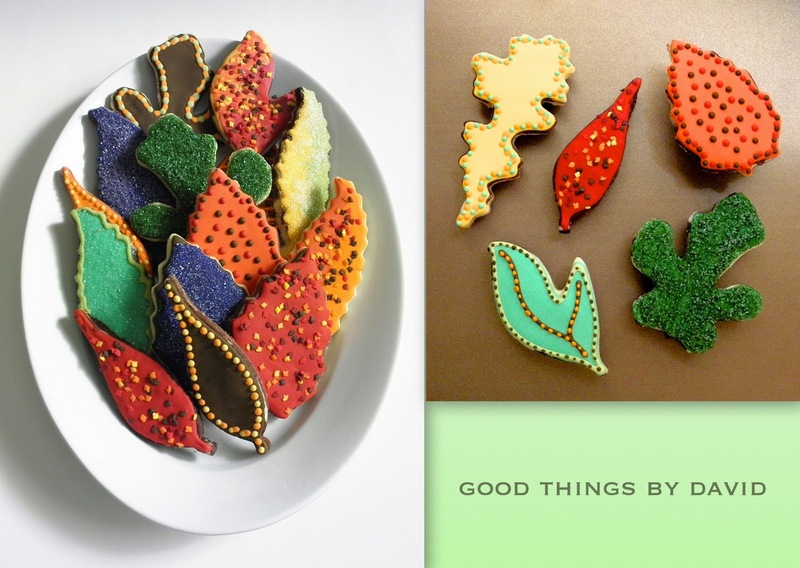 Fall Leaf Cookies can be as elaborate or as whimsical as you want them to be. Add a base coat of royal icing and flock it with sanding sugar, like I've done with some of my cookies, or create visual interest by adding layers of dots, lines or special holiday-themed/seasonal candies. It's completely up to you! If you arrange them on a large platter it will look as if you've been out in the woods collecting the most vibrant of leaves. 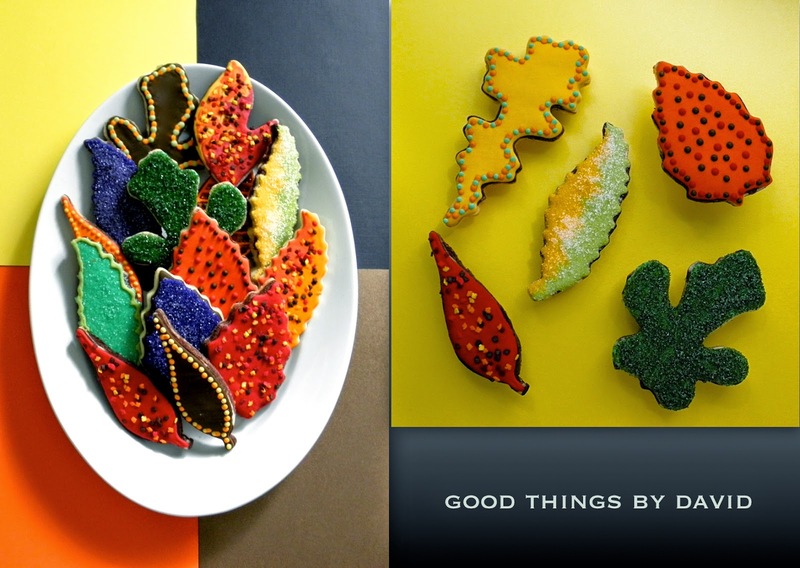 Delightful, colorful and irresistibly delicious Fall Leaf Cookies are bound to delight kids of all ages. If you plan on entertaining soon to welcome the season, I do encourage you to make a variety of these cookies or some that are similar. All of the cookies you see here have already been carefully packaged up into crisp cellophane bags tied with bright orange grosgrain ribbon. I think they're going to like them.